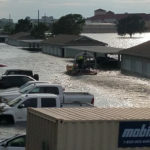 As southeastern Texas braces itself against relentless rain and what some have described as a 1,000-year flood caused by Hurricane Harvey, local ASCE leaders are working to aid the recovery and relief efforts. 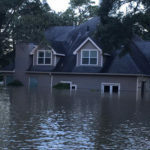 “Although portions of Houston have flooded in the past, Hurricane Harvey has stressed the entire region like never before, with large areas under water and more rain on the way. 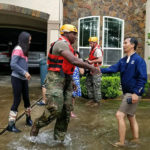 “In the last two days, all but a handful of official rain gauges in the Harris County area show that more than 20 inches – and in many cases in excess of 25 inches of rain – has fallen in the area. Every watershed in the area has been affected. Houston has received half of its typical yearly rainfall total in two days. “Harris County and the City of Houston have been coordinating relief efforts in the area. 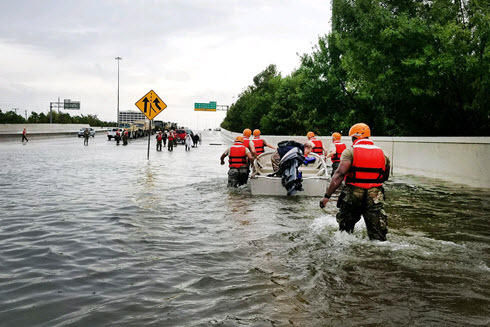 In addition, there has been a significant response by what is being called the unofficial ‘Houston Navy.’ Volunteers with boats of all sizes have come out to assist in rescuing individuals and families in those areas that have been hardest hit. It has been an amazing effort! “With uncertain weather conditions persisting for a few more days, the message from officials is to stay in place and do not risk going out and getting stranded. Most of the major roads and interstates in the Houston area have sections with high water, making mass evacuations impractical. 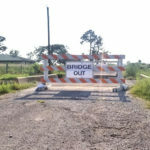 “Isolated mandatory evacuations are now being called for those areas that haven’t yet flooded but are in imminent danger of flooding from rising rivers and from mandatory releases from the two U.S. Army Corps of Engineers reservoirs (Barker and Addicks Reservoirs) in the area. These releases are necessary to avoid damage to the dams and levees that surround the reservoirs. Most of the major roads and interstates in the Houston area have sections with high water, making mass evacuations impractical. Our thoughts and prayers are with you as you struggle through this devastating tropical storm, Harvey. Your health and safety come first. But, after the water recedes there will be large and long term recovery efforts needed. 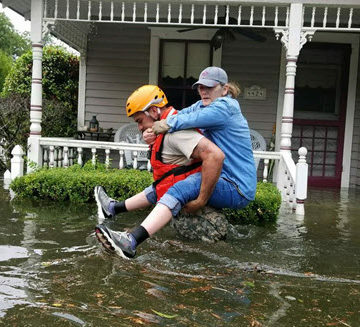 Texans are strong and you have proven in the past that you help each other through difficult challenges. The rest of us are hear to support you in whatever way we can. We wish you all the best and we’ll continue to pray for your safety and quick recovery.